Congratulations to you!!! Thank you for allowing me the amazing and rewarding job of photographing your new baby in his/her first few days of life. I am truly honored to be able to capture this incredible time in your lives and look forward to getting to know you and your sweet baby! This newborn session guide will help you prepare for your newborn session. For the baby, clean away flaky skin and eye boogers with a wash cloth. Trim those tiny fingernails and toenails with baby trimmers. If your baby has any band-aids on the foot, thigh, etc., please remove them as soon as you possibly can to allow the imprint marks to disappear. Do not change the baby’s diet the day before or during the session. Continue to feed your baby how you normally do (breast-feed, formula-feed, or both). Bring plenty of bottles! Your baby will need to eat more often during the session than they normally do. Do not make any sudden changes to the baby’s diet that may contribute to fussiness. Before the shoot, please feed baby 2-3 hours prior and do your best to keep baby awake. Try giving a bath, let baby kick with only a diaper on, tickle their toes, and let them fuss for a little bit (no pacifiers) for the few hours beforehand. Recruit your spouse or family to help you with these tasks. When you arrive at the studio, be prepared to feed your baby. 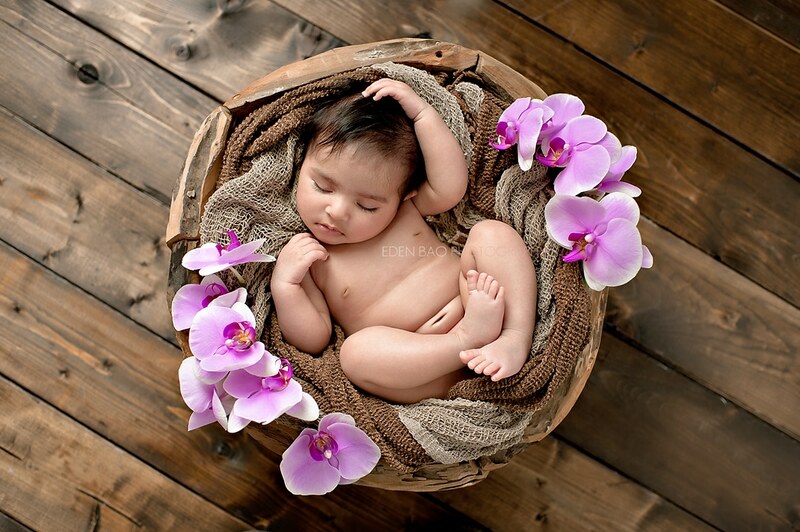 We want the baby to be full, content and sleeping after the feeding to ensure those curly, sleepy newborn pictures. Be sure to burp baby really well after the feeding. Gas can make a sleepy, happy baby into an uncomfortable one in seconds. Be patient. If your baby is fussy or alert, do not stress out. Your newborn can sense your anxiety and we want to keep the environment as mellow as possible. We will try and get them comfortable again, but if that does not seem possible, we will take a break or may even reschedule (at the photographer’s discretion). Be prepared for messes of all kinds. Babies do not care where, when and who they pee, poo, spit up or vomit on. That is why I will be dressed in comfy sweats as I work and why you (if you want to be in the photos with your newborn) would want to bring an extra set of clothing. As the session can take up to 4 hours, we provide beverages (water, tea and coffee) and some light refreshments for the parents, but do bring plenty of snacks for baby and for siblings. Nothing is the best wardrobe for a newborn. No outfit fits a newborn well and they often look swallowed in clothes. Accessories are good though– little hats, dainty headbands, etc. I have a wide selection of props that you can choose from or if you prefer, bring your own. Photographing the connection between you and your baby is one of my favorite things. Just as they encourage in the hospital or at home birth, skin to skin contact creates the most beautiful images. Mom: A subtle application of makeup can soften your skin and accent your facial features. Neutral looking fake lashes can really flatter your eyes. I have a variety of wraps and gowns in the studio, but you are welcome to wear your own snug-fitting tank tops. Keep the color neutral and design simple. Be sure your nails are tidy and clean (no nail polish) as your hands will make their way into the images. Also, rest assured, I aim to photograph using flattering angles and lighting to bring out the natural beauty in you and your family. Dad: Be freshly shaved with a new razor, shaving cream and moisturizing after-shave lotion to avoid bumps and redness. Trim your beard, sideburns, mustache or goatee. Look especially for wiry stray hairs. Make sure your nails are clean and trimmed. If you prefer not to be shirtless, wear a tight fitting v-neck t-shirt with a pair of jeans. Including older brother/sister(s) in your newborn’s portrait is the perfect way to document this fleeting time in your lives. Clean, clean, clean- clean nails, clean hair, clean feet, fresh scrub teeth, and wipe away eye boogers and snotty noses. The cleaner the child, the better their photos will turn out. If your child is still of napping age, make sure they nap before the shoot. It is perfectly okay to bring bribes to a photo-shoot–some cereal, snacks or candies that won’t stain their teeth. Avoid colorful drinks or lollipops within 24 hours of your shoot. Do not let them eat or drink anything will stain their cheeks, mouths or teeth. Sister(s): I provide a wrap that will act as the perfect top or please wear a snug-fitting tank in a neutral color. The girl’s hair should be natural and free of bows, headbands, etc., and just like Mom, no nail polish please. Brother(s): A snug pair of jeans and shirtless are preferred. Due to the duration of the newborn session, I recommend bringing young children into the studio either in the beginning Of the session for about 30 minutes. Please arrange for childcare for them when they are not being photographed. Young children do not have long attention spans (3-4 hours are way too long for them). 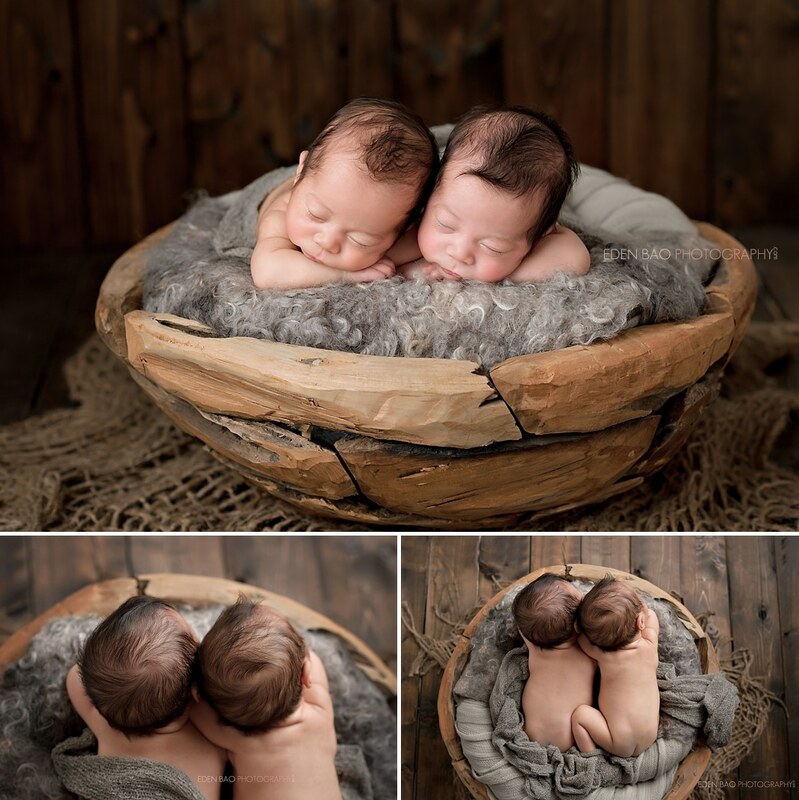 They may not do well in unfamiliar places and will disrupt the environment in the studio necessary for newborn photography. 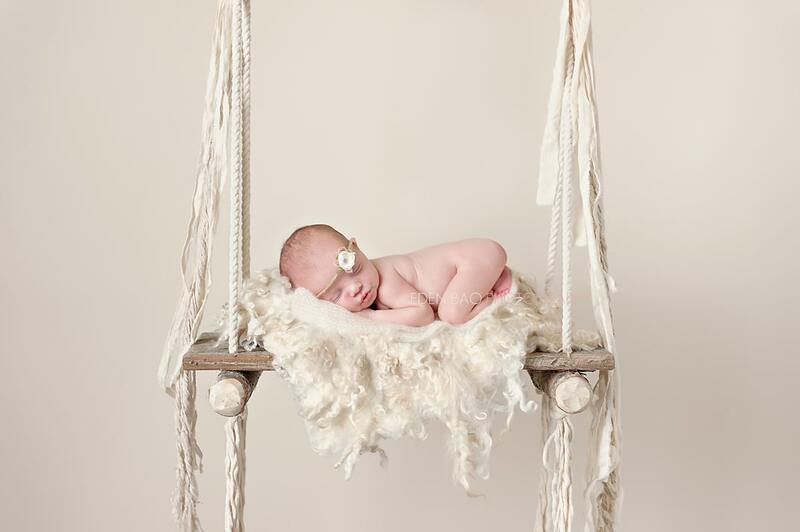 These tips in this Newborn Session Guide will help you prepare for your newborn shoot and ensure that your session runs smoothly so we can focus on capturing your newborn baby’s portraits. 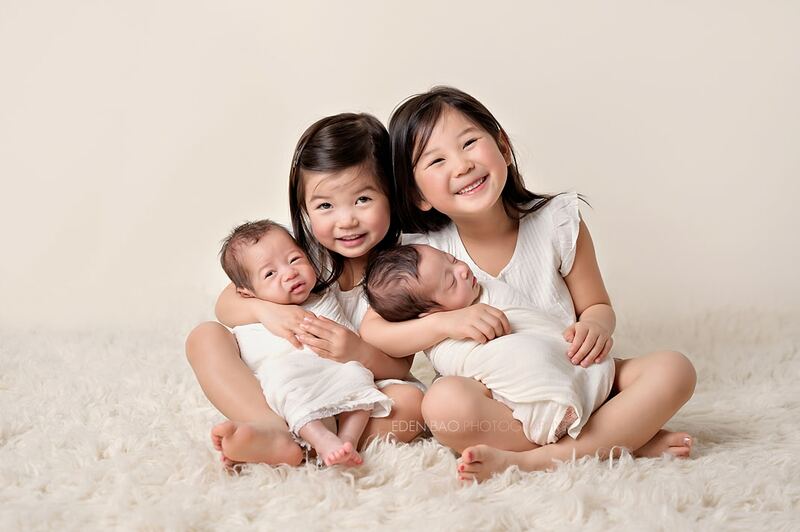 Eden Bao is a premier newborn photographer based out of Bothell, WA. We serve Greater Seattle and the surrounding areas including Bothell WA, Mill Creek WA, Everett WA, Woodinville WA, Snohomish County WA, King County WA, Skagit County WA, Pierce County WA, Bellevue WA, Kirkland WA, Edmonds WA, Lynnwood WA, Snohomish WA, Marysville WA, Lake Stevens WA, Redmond WA, Issaquah WA, Shoreline WA, Green Lake WA, and Pacific North West. A proud member of Master Photographers International and Professional Photographers of America, Eden Bao Photography prides in capturing your newborn portraits beautifully.